Five-Time Cancer Survivor Gives Back! My name is Jackki Kennedy and I am the founder and president of the MDP Cancer Fund, which hosts “The Kennedy Black & White Ball”. As a five-time breast cancer survivor, and one who has lost two family members to this dreaded disease, I have a strong desire for a cure to be found and to help others who are dealing with cancer. 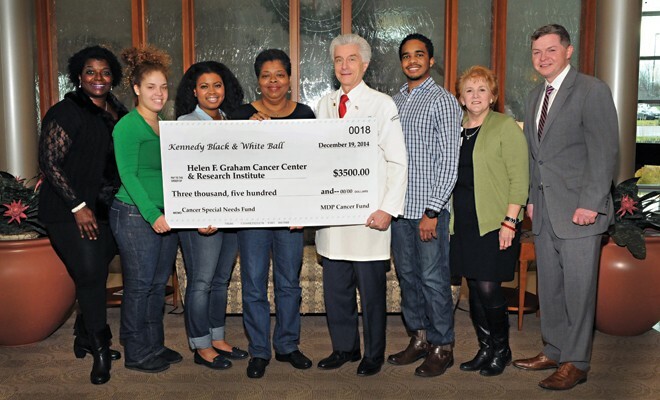 Several years ago I decided to move forward with a vision to raise funds for cancer research and programs. It was at that time that the KBWB was launched. The Ball is an annual black tie fundraiser event given each year at the beginning of November. The proceeds from the event are donated to the Helen F. Graham Cancer Center at Christiana Care, Cancer Special Needs Fund. The Center is one of the leading institutions in the nation in research and care of cancer. I was treated there and received excellent care through the caring programs and services offered. Dr. Nicholas Petrelli, Byron Alston, Nora Katurakes, and Andrew Pack.